Why Are Companies Still Using Email Marketing? Companies often list email as one of their most powerful marketing channels. With email usage worldwide projected to reach 3 billion users by 2020, businesses that want to grow will continue to use this tool. Are you using email marketing to promote your business medium or small business? Or do you think sending emails to your prospects and customers is passé? Something that has been around for a longtime, but it’s passed its prime? If you aren’t using this tool, you’re missing a great opportunity. This highly effective channel is a great way to build relationships. It can increase brand awareness, sales, boost social interaction, drive website and develop customer trust and loyalty. 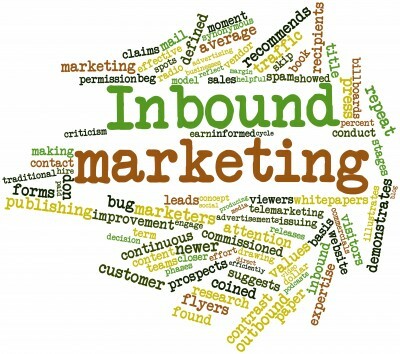 Using email as part of your inbound strategy is essential. Commercial emailing first started from the traditional direct-mail mindset. This was based on massive emails sent out to as many people as possible regardless of interest or activity. Smart marketers have evolved and use email to connect with their contacts in a way that is more meaningful and in attempts to build relationships. The best part is that it is one of the most cost effective tools available. The Direct Marketing Association released a study that said 63% of marketers cite email as the channel that delivers the best return on their investment (ROI). The average ROI for email is $1 compared to $40.56 for other channels. If you own or work for a small or medium size business, email is easily affordable and may be just what you need to optimize your marketing strategy. Traditional advertising has become too expensive for many smaller companies, and this is a great alternative. One of the reasons it works so well is because it is permission-based. The people on your email list have given you permission to send them messages. People using mobile devices are spending massive amounts of time on their devices. Checking or sending emails is the number-one activity for this group, more popular than social media and other activities. Another big advantage is that it is immediate. The response to "click here for this offer", or "to learn more about this service" generally occurs within 48 hours of the time the email campaign is sent. You will know right away if your campaign is working. Email effectiveness is easily measured. The answer to whether an email was successful or not can be measured within 48 hours from the time it was sent. You can measure the conversion rate (a reader converts to a customer) and the click-through rates (CTR) to see how effective the campaign is. Email marketing is the most powerful channel for lead generation for medium and small businesses. If you would like to learn more about how to use this inbound marketing tool for your medium or small business, download our Free Email Marketing Tactics now. Media Management Services is an inbound marketing agency that has been helping medium and small businesses maximize their advertising and marketing budgets for over 33 years. If you would like to discuss your marketing strategy and how we may help you accomplish your goals....click below for a FREE consultation.